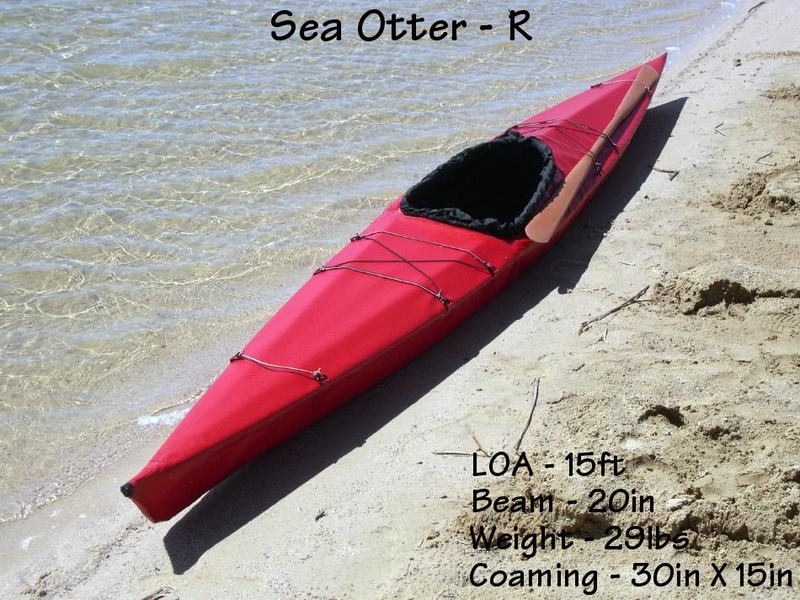 The Sea Otter-R folder at the lake. This design incorporates new features such as a breakdown aluminum / PVC sleeve coaming, aluminum stem plates, a raised flat aft deck for greater gear storage, and a 42in folded length. With a 15ft (4.6m) length, and 20in (51cm) beam perfomance is good. Weight is under 30lbs. (13.6kg).